Happy New Year to all! Before 2015 came to a close, I covered the worst films that it had to offer. To kick off 2016 in positive fashion, let's focus on the bright side - here, I'll give you a run down of my five favourites from the past 12 months! 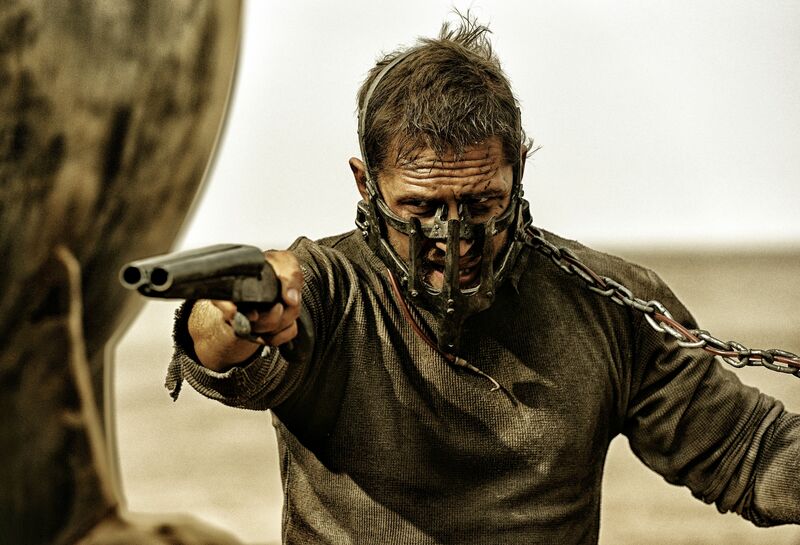 The first installment to the Mad Max franchise since 1985, Fury Road is co-written and directed by series creator George Miller once again, and stars Tom Hardy in the lead role. Instead of a direct sequel to Mad Max 3, Fury Road instead feels like a reboot of sorts, or just a new story that doesn't completely rely on it's predecessors. As a result, newcomers to the series won't need to watch the originals (though you still should) in order to get a grasp of what's happening; and while the narrative initially seems to take a step back in favour of action, that is not quite the case overall. That is, while Fury Road is stockpiled with action scenes that rank amongst some of the best in a modern blockbuster, it also features a surprising amount of depth within this post apocalyptic world that the characters dwell within. It's an exhilarating and heart racing experience from start to finish, with wonderful performances from stars Tom Hardy and Charlize Theron, and a superb score by Junkie XL that compliments the already superb action sequences. Even if you're new to the series, this is certainly a must see. Jurassic World is the first in the franchise since Jurassic Park III, and the anticipation was all but evident - it's one of the highest grossing films of all time, with over $600 million in US revenue and and over $1.6 billion worldwide. Truly, fans from all over the world were eager to see the new direction the plot was taking; instead of it being the disasters of trying to make a dinosaur theme park, now it's about managing one that's finally opened to tourists. Chris Pratt stars as Velociraptor trainer Owen Grady, who becomes tangled in a mission to save visitors of the eponymous theme park when the attempt to rejuvenate visitor interest terribly backfires. The result is the Indominus Rex, a dinosaur hybrid, who runs riot on the island to destroy everything in her path. While it's not going to wow us the same way the original did in terms of CGI innovation, Jurassic World is still visually striking and thoroughly entertaining, with plenty of gripping set pieces and an interesting new direction for the franchises themes and ideas. An epic thriller that's worthy of it's title. Tom Cruise hung on the edge of a flying plane. Balls of steel. The Mission: Impossible series reached new heights in 2011 with Ghost Protocol, and that trend continues with the equally acclaimed and financially successful Rogue Nation. Here, IMF agent Ethan Hunt's latest mission sees him combatting an undercover criminal group known as the Syndicate, whilst also running from the CIA after their disbandment of the IMF itself. 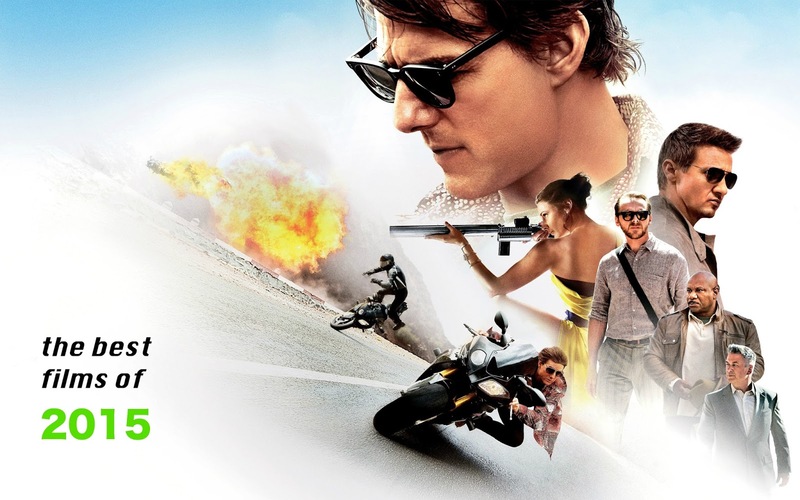 Tom Cruise makes a welcome return in his trademark role as a crazy stuntman and an unsurpassable action star, and is joined by usual cast members Jeremy Renner, Simon Pegg, and Ving Rhames, with Sean Harris starring as the film's villain, Solomon Lane. The story may seem generic at first glance, and perhaps a bit shallow, but there's a surprising level of depth within it, and a clever sense of direction as the film goes on and more plot twists come to fruition. Couple this with superbly staged action scenes, a lineup of excellent characters, and of course some fantastic stunt work by Cruise himself, and you have another fine entry to this reinvigorated franchise. Despite entering limited release at the end of 2014, Selma expanded into larger worldwide territory in the early months of 2015, so I'll add it on here for the sake of it. A historic biopic of Marin Luther King's efforts to spearhead racial equality in a corrupt 1940s America, Selma stars David Oyelowo as the leading man himself in one of the best performances I've seen in a recent film. It doesn't hold back with expressing just how violent and corrupt this part of human history really was, exemplifying the dark heights that racism reached through disturbing riot set pieces and some sinister performances from a strong cast. Tom Wilkinson also shines as President LB Johnson; the story gives us an insight to his struggles as a politician who agrees with King's ideologies but still can't find the right way to bring them to fruition, due to pressure from his peers and the general public's opposition. It sounds pretentious, but it's far from that - genuine, heartfelt, and extremely dramatic, Selma is a beautifully constructed biopic that does justice to the iconic figure who inspired it. As with some other films in my recent lists, Inside Out is one I've talked about a lot already so I'll keep this brief. It's a powerfully moving tale with a strong, inventive premise, gorgeous animation, and a deft, masterful blend of comedy, wit, emotional resonance, and genuine drama. It's another addition to Pixar's lineup of animated classics and further proof that, with the right amount of care and attention, CGI animation can be much more than shallow, colourful nonsense to keep the kids quiet. Here is my review and here is my feedback in my 2015 retrospect. Have a read for further insight to why this film is so friggin good! UPDATE: This video has now been adapted into a video for the ProjectFalconPunch Youtube channel! Take a look! Thanks for reading! Stay tuned for my most anticipated films of 2016, coming soon!